Delta and American Airlines will no longer allow certain big game trophies to be hauled on their planes. 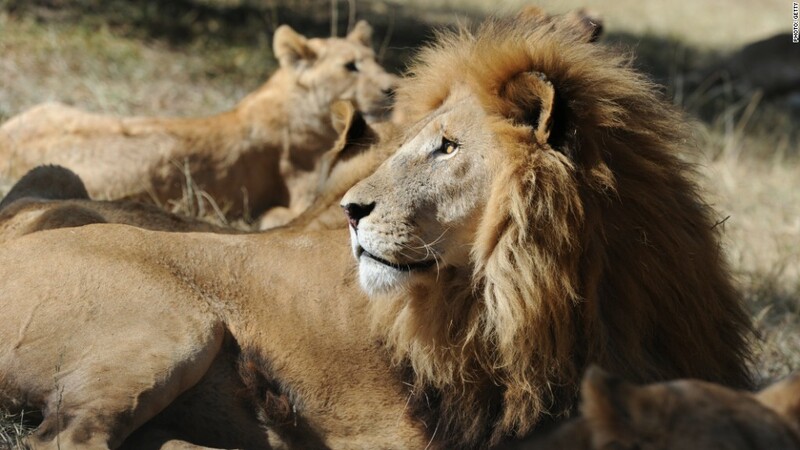 The announcements Monday followed protests over the slaughter of an African lion named Cecil. Delta said it has banned worldwide the shipment of lion, leopard, elephant, rhinoceros and buffalo trophies as freight. The airline did not say why it decided to halt the practice. American Airlines (AAL) followed Delta's lead, saying late Monday that it would also prohibit exotic animal trophies. "Effective immediately, we will no longer transport buffalo, elephant, leopard, lion or rhino trophies," American said on Twitter. A Minnesota dentist recently faced intense backlash after he killed a popular lion named Cecil in Zimbabwe. Activists had been targeting Delta (DAL). A change.org petition circulating since at least May called for the airline to stop transporting exotic animal trophies. "As one of the world's largest airlines, and the only U.S. carrier with direct service to South Africa, Delta Air Lines is in a key position to help protect these and other vulnerable wild animal populations from further hunting and poaching pressures," the petition stated. The petition had more than 395,000 signatures as of Monday afternoon.